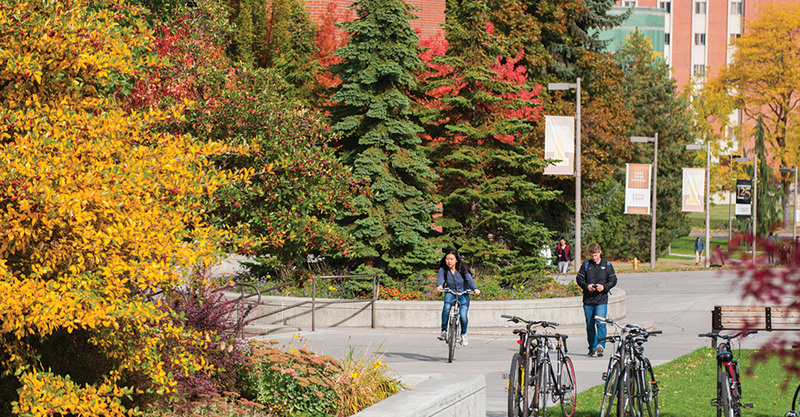 Just minutes from beautiful forests, rivers and lakes of northern Idaho, Moscow is a classic American college town with more than 24,000 residents. 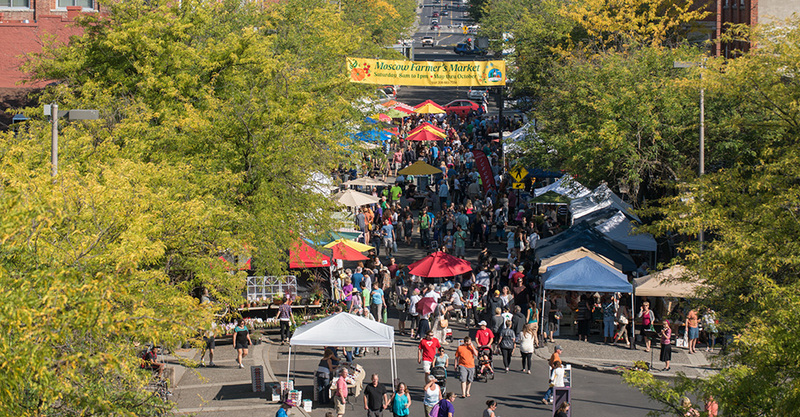 Located just a 10 minute walk from campus, Moscow's downtown features many dining and shopping options as well as a reowned farmers' market from May through October. Students and residents in Moscow love to explore the outdoors and nature. 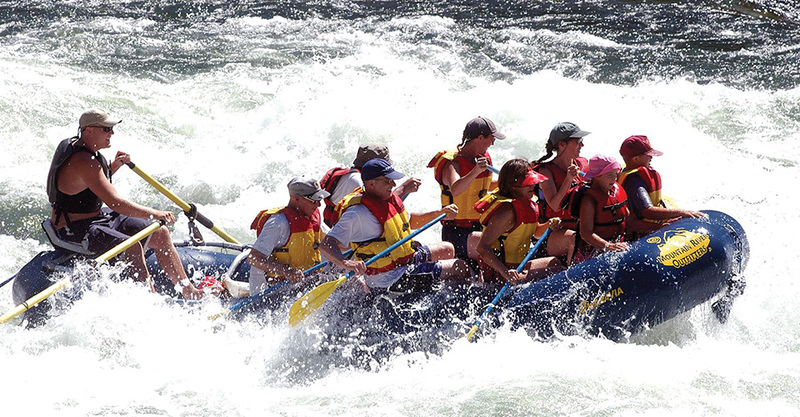 Activities include whitewater rafting, skiiing, hiking, rock climbing and more. Living and learning in Moscow will put you just minutes from opportunities for skiing, snowboarding, whitewater rafting, biking, climbing, camping and more. 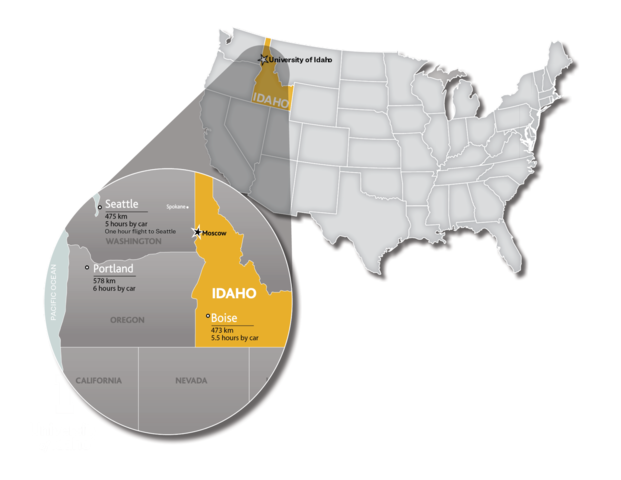 The University of Idaho is surrounded by hills, forests and mountains; it’s an area so beautiful it was featured in National Geographic magazine. For a taste of the city, Spokane, Washington and Coeur d’Alene, Idaho, are just an hour and a half drive from Moscow. Seattle, Washington – home to many Fortune 500 company headquarters such as Amazon, Microsoft, Boeing and Starbucks – is also a five-hour drive from Moscow.